The building of the Folklore Collection is located in the Local Community of Filakti next to the church of St. George. Through various exhibitions the significant history, folklore tradition and architecture of the area is presented. Emphasis is given on trying to connect objects with life and activities of the people in the village. The objects themselves are not treated merely as classified species, but as a standalone components of an alphabet, which in combination with the original historic photographs constitute the raw material for a new reading of images and objects common and relevant. The building was constructed in 1956 for use as an elementary school. It operated for about three decades and since then remains until today with no use. 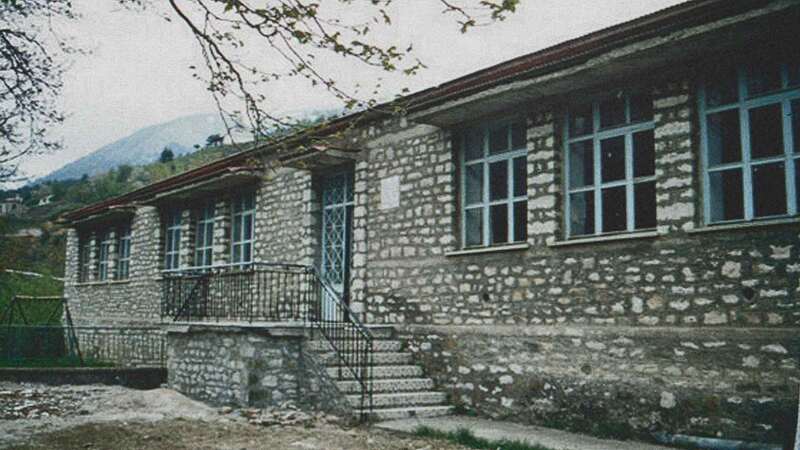 By a decision of the Municipal Council of the former Municipality of Nevropolis Agrafa it was repaired and there was a change of use of the building, funded by the program “Axis 4 of the Rural Development Programme 2007-2013” Greece with budget 140.000,00 €. The building is stone with cement by reinforced concrete, the roof is hipped classic wooden coated with tiles, the windows and the main entrance of the building is metal. GROUND FLOOR: The area of ​​the building is A = 11.0 x 31.0 = 341 sq. m. and has clear internal height H = 3.60m. There is a main entrance, an emergency exit and fifteen windows in the whole building, which are metal. Upon entering the building leads to three meter wide corridor walls which are covered with assembled stonework and the floors clad with ceramic tiles. The eastern corridor leads to a room that depicts a “classroom” and one that is a smaller office. These two rooms have stone walls with plaster, plasterboard ceilings and floors with ceramic tiles. In the “classroom” wooden benches of the old school and the teacher’s are placed. Also on the east wall there was a library constructed, which stores the old school books, archival material from notebooks of students who graduated from the school and a reading table with seating. It is possible movie for the settlement and venue for educational programs. It is possible to watch movies about the settlement and a venue for educational programs. The office is equipped with wood cabinets, library and computers. The western corridor leads to the “delivery room” which has two entrances and the assembled masonry walls. Flooring is wooden as the roof, with wide boards nailed. Here was constructed a wooden traditional storey house under scale and represents the stable and grain stores that existed on the ground floor while the first floor was the kitchen and the living room with traditional furniture and utensils. This room is organized into small sections about cheese, bread, to livestock, forestry, agricultural and construction tools, and utensils in daily life (cooking utensils, pots transfer water boilers, washing tubs, braziers) and in the textile industry, one of the main occupations in the village. There is also an exhibition of agricultural tools (sowing, reaping, threshing), bakery equipment (millstones, trays, bread-stamps) beekeeping equipment (hives, frames, an extractor for honey out of the combs, hives), carpentry equipment (vices, molds for tiles and bricks, files, planes). Finally there is a three-dimensional surface model of 4 sq. m. with representations of farm labor, while the walls are prints in large sizes pictures of the countryside. At the northwestern end of the school operated a room of 27.6 sq. m. as “kitchen” to prepare food and drinks for the students of the school. This area is equipped with modern wooden kitchen and appliances and will become an area where you are prepared by women and men in the region pastries, dishes and products in the traditional way. Finally in the spacious corridors of the building the textile equipment is exposed (loom, distaff, spindle, spinning wheel, carding machines) and traditional costumes. Also corridors are places of exhibitions with paintings, photographs and small objects.